The 2019 Schedule is now available. Space is limited. Enroll now to get your preferred date. 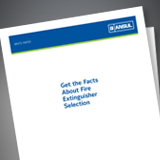 Authorized ANSUL Distributors offer the highest caliber of quality products, service and support worldwide. New FM Approved ASME Bladder Tanks: Vertical or horizontal, standard or pre-piped. ANSUL solutions for critical assets feature our AUTOPULSE Z-20 Addressable Releasing Panel, INERGEN iFLOW Clean-Agent Suppression, and sound engineering with our Acoustic Discharge Nozzle. Adding next generation options and benefits to proven clean-agent system technology. We’ve got Fire Suppression down to a science. 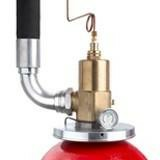 ANSUL, the First Choice in restaurant fire suppression solutions. 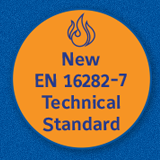 The new technical standard helps harmonize legislation across the industry by creating consistent hazard classifications, performance testing and service and maintenance guidelines. 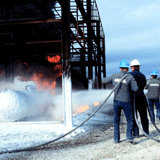 Fighting fires with anything less than the best puts your personnel and operations at risk. 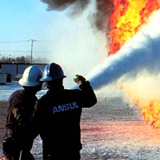 ANSUL® RED LINE cartridge-operated fire extinguishers provide the high flow rate needed in high fire risk industries. New and improved design focuses on design flexibility, lead time reduction and field usability. Located on a 350-acre campus in Marinette, WI USA, the basic 3-day program mixes classroom and field instruction with live hands-on firefighting. The Foam Design & Specification program looks at design, equipment selection, foam agent application, and installation of fixed foam systems for a variety of hazards.